A quick search for "Super Natural Everyday Bran Muffins" yields multiple results. As someone who never thought I'd be promoting a bran muffin recipe, after eating these muffins, I'm not surprised by their positive internet reception. Last weekend I wrote down a number of goals for 2012. It was the first time in awhile that I felt like I was brainstorming without second guessing myself or being hindered by notions like realism or pragmatism. I jotted down goals and ideas as they popped in my head, without rationally thinking about the steps needed to achieve the goal. After 20 minutes, I had 50 flashcards filled out. One of my easier goals involves breakfast. Justin and I are both big breakfast people and tend to cook large brunches on the weekends--frittatas, pancakes, waffles, french toast. But during the weekdays, our breakfast menu turns staid. Cereal and toast; yogurt and granola. Both are fine, but are they really worth getting up for in the morning? One of my goals this year is to make our weekday breakfasts as interesting as our weekend breakfasts. I'm not planning on waking up an hour early to get brioche french toast in the oven (though, because we bought brioche this weekend, I think that's exactly what I'm doing tomorrow morning!). Rather, I'm talking about breaking free of my cereal routine and planning breakfasts like we plan dinners. 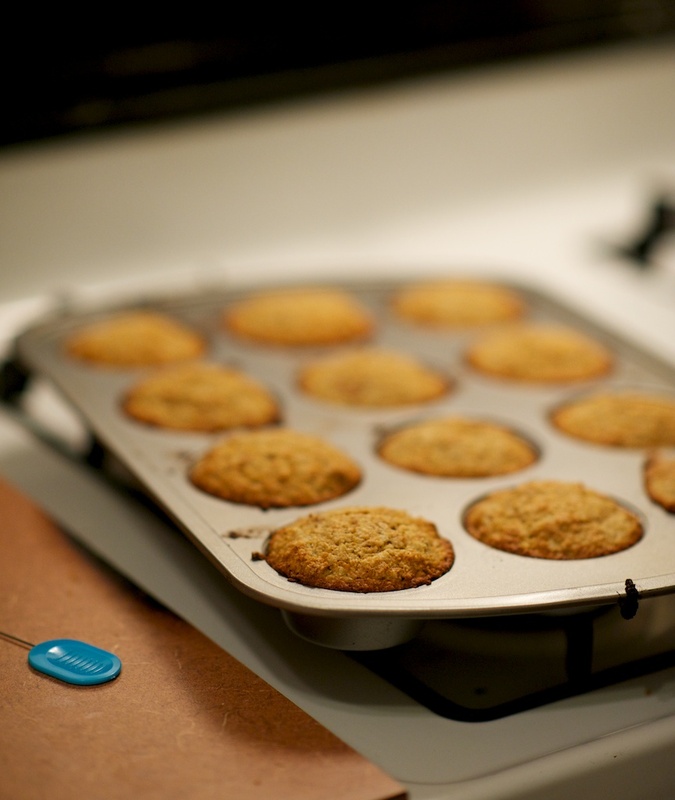 Heidi Swanson's bran muffins seemed like a fitting place to start. Muffins can be baked the night before, stay moist for 4-5 days, and if paired with fruit (or, yes, cereal) can make a filling weekday breakfast. 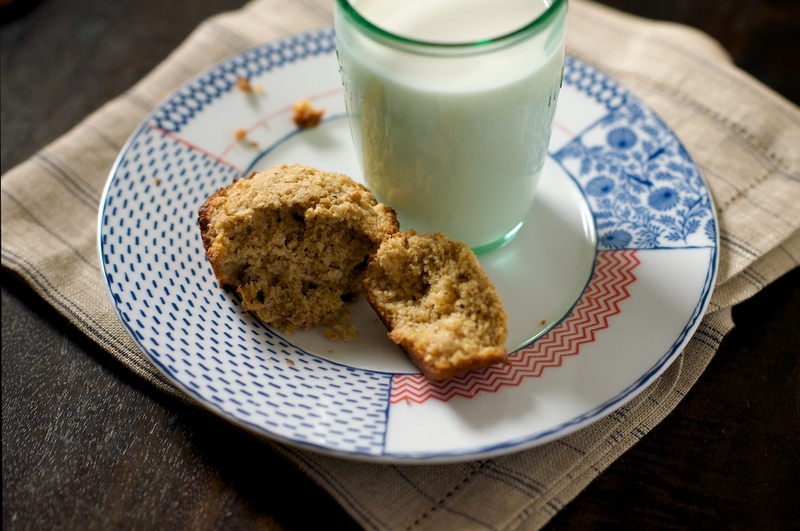 For an added incentive, bran muffins are a nutritional powerhouse, comprised of whole wheat flour, oat bran, and bran cereal. This all might sound a little dull, but Heidi's version is surprisingly sweet--especially for people whose brain flashes 'avoid' when they hear the word bran. 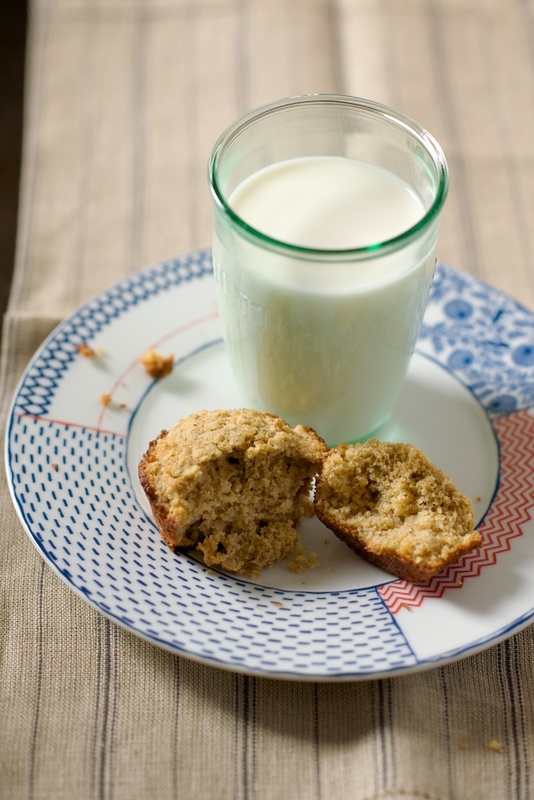 Heidi's recipe includes 1/4 cup of cane sugar and 1/4 cup of maple syrup, which is just enough to sweeten the muffins without dominating their oaty taste. These are simple muffins, and with the exception of oat bran, I bet that your kitchen already houses most of the necessary ingredients. 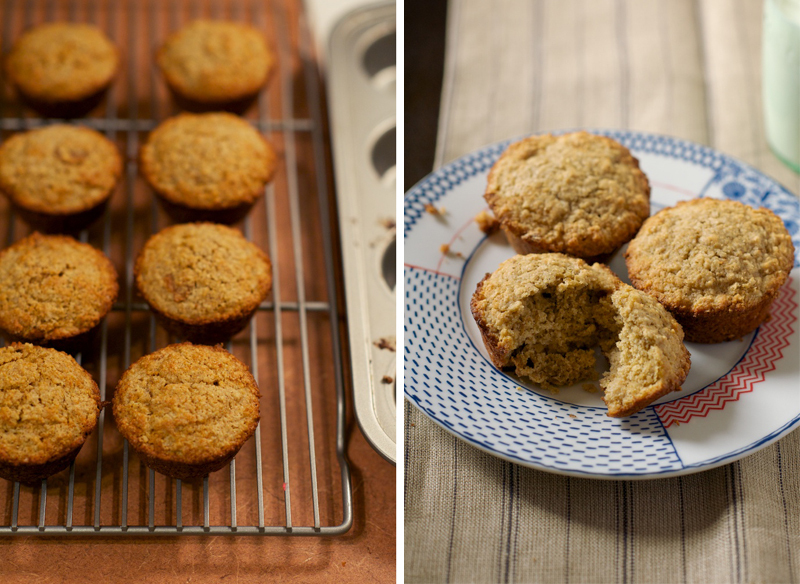 Don't just take my word for it--try these for yourself and become a bran muffin convert. 1) Preheat your oven to 400. Butter a 12-cup muffin tin. 2) In a large bowl, whisk together the eggs, buttermilk, melted butter, and maple syrup. Sprinkle the bran and cereal on top of this mixture, stir gently, and then allow everything to sit for 5 minutes. 3) While this is sitting, whisk together the flour, sugar, baking soda, baking powder, and salt. Sprinkle the dry ingredients over the top of the wet and stir until just combined. 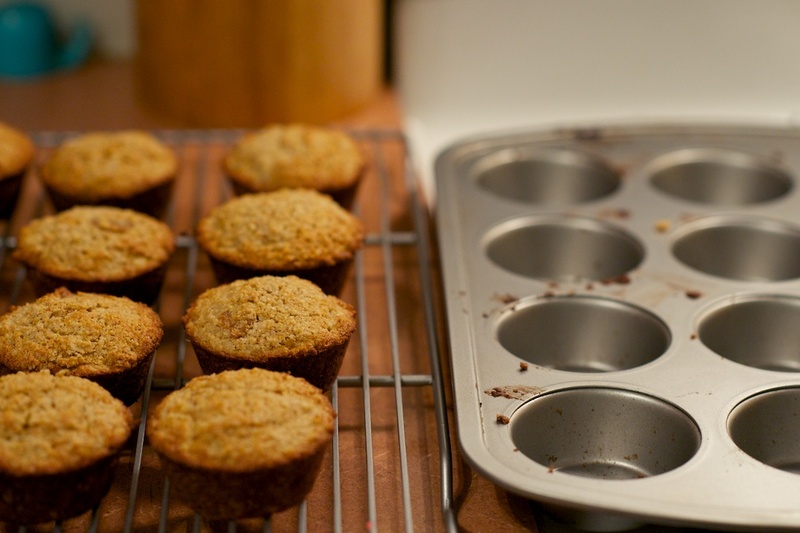 4) Fill each muffin cup three-quarters full. 5) Bake for 18-20 minutes, until the edges of the muffins begin to brown and the tops are set. Let cool for 5 minutes before turning the muffins out onto a wire rack. Enjoy! Deborah Madison has been an unquestioned member of my kitchen for over four years now.